It was an early dinner on Sunday afternoon for the students who attended the Green Chef Competition, sponsored by the University of California, Santa Barbara Environmental Affairs Board (EAB). Hosted in the MultiCultural Center Lounge, the event gave participants the chance to explore healthy and sustainable cooking choices. This quarterly competition is judged by attendees. Each contestant is judged in three categories: “Most Sustainable,” “Most Creative,” and “Best Overall.” The contestants are given a secret ingredient three days before the start date that they must include in each dish; this quarter, it was kale. Although there were many delicious dishes at the Green Chef, only three could walk away as winners. Biology major Maxine Hamilton won “Most Sustainable” for her zesty “Indian style” chutney with a coconut flat bread. Emma Johnson won “Most Creative” for her thick mints, a sweet chocolate mint patty. The top prize of “Best Overall” was given to Magdalena Romo, who made a divine balsamic roasted strawberry kale tart with an almond crust. EAB, a branch of UCSB’s Associated Students, is the largest environmental awareness group on campus. EAB advocates the importance of buying locally grown food as opposed to packaged foods that lack essential nutrients. Emily Lytle, the Sustainable Foods Chair for EAB, put on the event. The event consisted of the audience members tasting the plethora of dishes prepared by the cooks, all made with sustainable ingredients. The dishes were all vegetarian, and–given the color of the secret ingredient–they were all appropriately green. 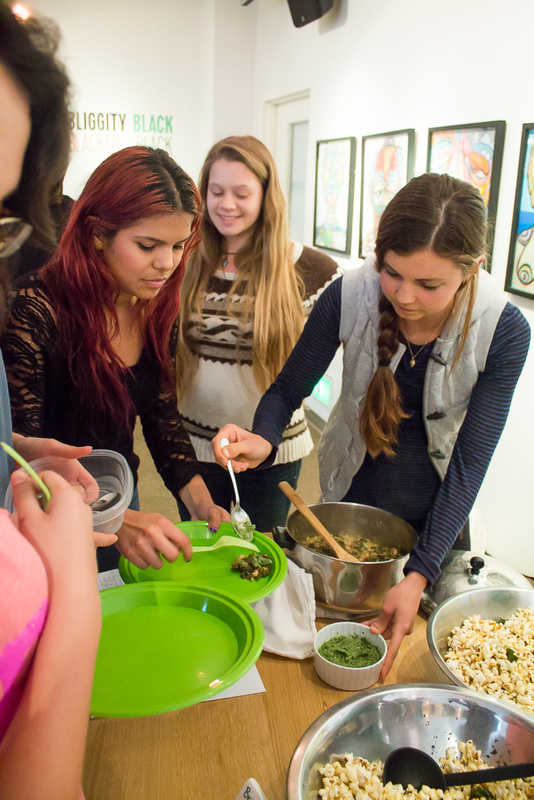 The Isla Vista Food Co-op provided the competition with the secret ingredient and helped organize the event. The all-inclusive nature of the competition made the atmosphere very welcoming. Anyone, regardless of experience, could easily participate as either a chef or a judge. Karina Paonessa, Volunteer Chair for EAB, won the Green Chef competition for most creative dish last quarter with golden yam brownies. She also spoke about other ways EAB reaches out to the community and promotes environmentally-friendly practices. Next weekend, Paonessa is taking a crew of volunteers to Anacapa Island for a nature restoration project. Visit the EAP website at http://eab.as.ucsb.edu/ for more information on upcoming events.